Perhaps you’ve collected the seeds from your summer garden, and the fall vegetables will soon have a bounty of seeds to save. Or maybe you just have an excess from planting earlier in the year. Either way, those seeds represent a bounty of food and foliage for the next planting season. It’s important to store them properly so that they aren’t lost or damaged before next year. Keep in mind these seed storage tips to ensure they remain viable. After you factor in things like temperature and humidity, you can get really creative in choosing a storage method. Here are some of the most creative seed storage methods that I have found. Sometimes you just need to take a second look at the things around you to see a new purpose for them. Look for items that have sleeves or compartments to slip in envelopes or small spaces for handfuls of seeds, as well as spots for labeling. A pillbox, or medicine organizer, is a good choice when you have a small amount of a wide variety of seeds to store. Use separate pillboxes for different areas of your garden—one for your cutting garden, one for veggies—for easy planting later on. Don't forget to clearly label each box with its contents! An old 8-track case, which holds envelopes perfectly, makes for a creative seed storage system. Keeping on the defunct-music recording theme, a cassette tape storage case would work just as well. If you need a more compact method of storage, a photo album might be the answer. 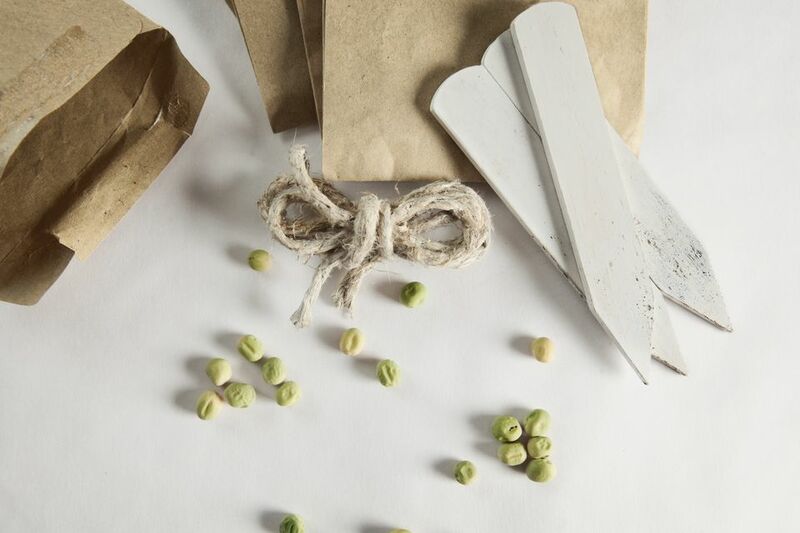 Simply slip packets of seeds into the photo sleeves. You can also include notes about the seeds and arrange them in order of planting time. Include real photos of your own landscaping to track progress (and inspire new ideas) season after season. Once it’s filled, you can slide the album right onto a shelf until next year. If you have a massive garden, in order to really organize your seed storage a filing cabinet approach may be best. Those plastic 3-drawer shelves or a repurposed nightstand can serve this purpose for larger quantities, or a recipe box might work for fewer. With a filing box, you have room for labels and information for each category of seeds. This handy photo organizer, which houses several 4x6 plastic containers, can double as seed storage. Each individual sleeve could contain quite a few packets. You could group them by type of flower or food, time of planting, or family. For the crafty and creative, anything can become storage. Making your own seed storage containers can be helpful as you can customize the organizer to be exactly what you need. Bonus: repurposing materials like old cereal and snack boxes means you'll spend next to nothing on the project (which means you can spend more money on your garden next spring!). This tutorial takes an empty cracker box and empty pudding-mix boxes to make a handy compartmentalized storage container. Not into DIY? You can pick up similar organizers online or at your local big box retailer. Looking for a sturdier solution? Use foam board—yes, the popular medium used in many school science fair presentations—to create a custom seed storage box. This project has a more "finished" look to it and would stack well when stored in your garage or attic. Of course, you don’t have to get creative to efficiently store seeds. A simple mason jar can do the job quite well. Storing seed packets in a jar allows you to seal it easily and even include silica packets if you’d like. It’s easy to find a place for jars, and larger jars can hold quite a few envelopes of seeds. Again, you can group them by any category you’d like. Plastic baggies can also make an effective seed storage method, stored right in drawers or baskets. Your gardening notebook can be kept in the basket along with anything else you need to know or have for an organized planning and planting season. Clearly, there are numerous ways to store seeds. From the elaborate to the simple and everything in between, the important thing is to choose whatever will be efficient for your organization style. Whatever it takes to keep those seeds and have a beautiful, fruitful garden year after year.